Recently, there was a great amount of discussion regarding my "Defensive" Drop Pod list (henceforth DDP) and it's ability to win games. As you may know, it was originally a list designed by Stelek for 1750 points. Well, I pushed that points total up to 2000 and made some slight changes to the list. Nothing major initially. He went into very basic detail on how the army works, but basically left the Black Templar player out to dry on figuring out how to play the list. Fortunately, you have me to guide you through the process, as I've played the list dozens of times with great success. I highly doubt Stelek can say the same. I've managed to turn fine-tune this archetype into a very powerful list. Now, lets start things off. Bigdunc did a good job of summarizing what I had previously said in regards to how the DDP list works in his first post on B&C. Even still, we'll take a look at it. For now, I'm going to assume that we're using the list found here for the purpose the discussion. It contains a total of 11 Drop Pods: 2 with Castellan-led Command Squads, 3 containing Dreadnoughts, and 6 minimum sized Crusader squads. In addition, we've got 3 Land Speeders present in the list. It is a "Defensive" Drop Pod list, but that doesn't mean it drops defensively. There is a big difference. As I mentioned previously, the list does not play offensively. That means you do not drop your army in your enemy's face and hope to blast them off the board, as you simply do not have the tools or the numbers to do it. We're packing 43 marines, but we cannot afford to provide easy targets for our enemies. Not only that, there is a very good chance that if you're dropping close to your opponent's army, you will not have the mobility to claim/contest objectives if those units are needed for the duties. The list is written with defensive tactics in mind. However, you don't drop down across the board and hope to win. There is merit in providing distractions for your opponent to deal with. This could entail dropping your Dreadnoughts and Command Squad very close to your opponent's forces to present an opportunity to destroy key enemy vehicles. Or combining that force with a crusader squad or two. With an MSU-styled BT Drop Pod list, this is easy to accomplish. When this happens, the ideal placement for your pods is between them and the rest of the board (but particularly your objectives). Obviously, scattering plays a big role here. Fortunately, a whole 180 degrees of the scatter die is actually beneficial to your drop (i.e. scattering towards the enemy) should it happen. Many players consider it a disadvantage to not have a reserve manipulation method. 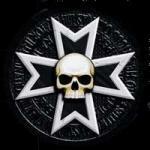 Unfortunately, the Black Templars do not have a method of doing so, nor do most armies. But as I mentioned a moment ago, we want as many of our things to come out late game as possible. It helps to prevent your opponent from eliminating your forces too early, as well as keeps the misdirection and initiative in your hand. But the enemy can potentially assist you in this respect. For example, we have the Imperial Guard's Officer of the Fleet (a staple in nearly every IG list). Against most opponents, subtracting 1 from your reserve rolls is beneficial to the IG players. It, however, works the other way around for BT Drop Pod armies. It helps ensure that your forces arrive later than normal. In doing so, your forces will likely arrive in greater numbers from reserve, which benefits our game plan for board manipulation significantly. What happens if they destroy your distraction force and then shoot full bore towards your home objective? Not only will they find it difficult to dislodge several units worth of marines and their pods from the objective (especially the FNP Command Squads), this gives you the opportunity to drop in more pods behind your opponent in areas around the board where there is very little action (and objectives of course). When your opponent is committed like this, it is difficult to change the course and will be hard pressed to reach you. At worst, they will not get very good shooting off at your units on the way. How about gunline armies? Its likely they will castled up and will rely on shooting you off your objectives. Fortunately, the distraction force works here as well. If they don't kill/neutralize them, then you will do damage to their firepower and they will lose the ability to knock you off objectives. This forces your enemy to commit firepower and resources towards sub-optimal targets, while your other forces remain relatively free from shooting. They will also be hard pressed to claim/contest objectives from you later in the game. Another benefit of this distraction force is that it will usually provide cover (pods provide partial LOS blocking) for your other forces, at least temporarily. If you didn't deploy in cover or behind your drop pods (yes, they DO block LOS for 5-man units), this will perhaps provide some critical cover for them. As I just alluded to, how you deploy your units coming out of the drop pods is important. Obviously, you need to get as close to objectives as possible when coming down. If you have the choice in the matter, place objectives in cover, and then drop pods into that cover. If that isn't possible, you need to make sure to place the drop pods between your enemy's firepower and your marines. Often, this placement will at least get them out of LOS temporarily. Admittedly, the DDP doesn't do as well in Victory Point/Kill Point missions. However, it does well enough against "Deathstar" armies. Because of the expensive nature of those lists and their small numbers, you can take advantage of the alpha strike to neutralize key components of your opponent's list. Then you are free to either tarpit those "Deathstar" units with your MSU, or simply drop out of range. The list isn't designed to kill as its primary goal, but because of how we deploy, you have the ability to limit your enemy's chances to kill you. It has the ability to drop defensively or offensively, depending on your opponent and scenario. Playing these types of games will take all the cunning and skill you have, but again, they are not impossible tasks. If you're looking for help with Black Templars Drop Pods, take a look at Devjon and Algesan's websites. Both use this style of list as their primary army.